Best location in downtown Kirkland! Beautifully updated condo in a 12 unit building. Gorgeous remodeled kitchen includes ss appliances, quartz counter tops, gas range & wood cabinets. Gleaming dark bamboo floors throughout the unit. Large master bd w/5 piece bath. Large family room w/fire place. No shared walls. Central AC. An additional 1 bd and full bath complete this spacious quiet unit. 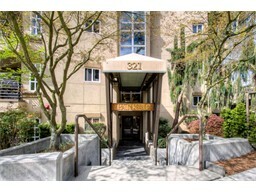 Steps from all that Kirkland has to offer! Welcome home!